Figured i should post this here as well since i'm trying to do a local swap. I bought another rx8 a couple years ago and swapped a bunch of parts out with my car. One of those things was the hood. 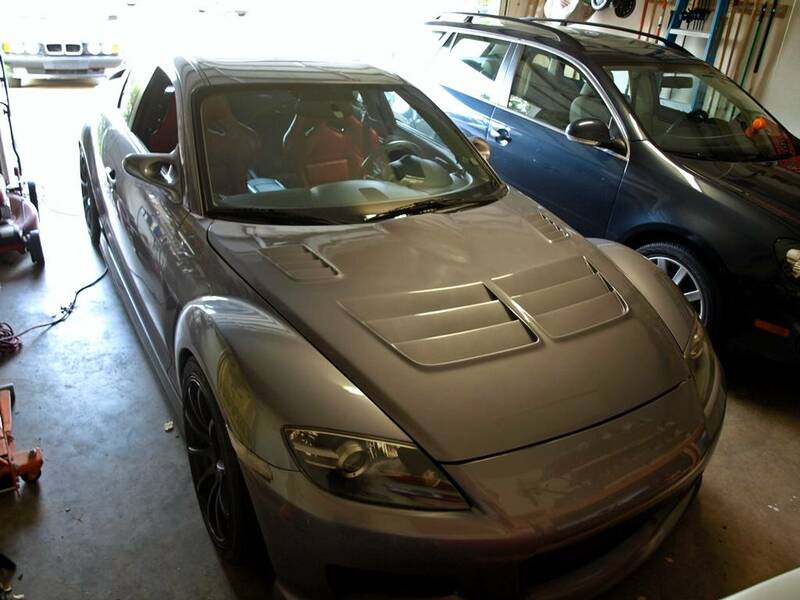 I've since grown tired of the vented hood look but my OEM hood was sold with the other rx8. I'm looking to swap my fiberglass ti gray vented hood for an OEM ti gray hood. I'd also consider buying one straight up if the price is right. I dont want to deal with getting it painted right now so ti gray only please. I would like to have your hood but do not have a grey one. LMK if you want to sell it. I've got a Ti-Grey if you're willing to meet. I'm in the DFW area but will travel. Those interested PM me dates you would come. I've had a lot of interest but nothing officially scheduled. no thanks, I want a ti gray one. Offer is still on the table. I'd compensate you for gas and food for the day. I can't really get away right now. Why don't you come up this way? Because I'm active duty military deployed right now. Any more locals out there interested? I may know a guy. I'll be back from deployment November 17th - if this is still available I'll drive up and trade it out with ya. Back in the states now - still available? Are you still looking for a TI OEM hood? I'm willing to swap with you if you show me pics.